My kindergarteners are readers. Every single one of them. Every day we read poems and songs together on charts, we read art, we read the morning message on our SMARTboard, we read labels in our classroom, we read books that we write, we read on the iPads, we read Tweets and blogs, we read books by ourselves and with buddies and we listen to lots of books read aloud. The kids are learning to read the pictures, read the words and talk about the books. 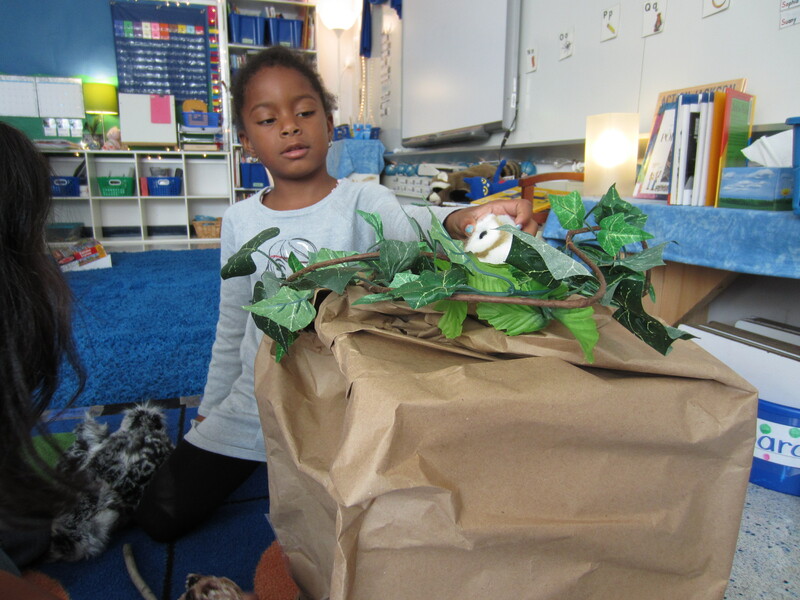 We retell and act out our favorite stories with toys that go along with the books. We spend a lot of time talking about authors and what authors do. Some of our favorite authors are: Mo Willems, David Shannon, Eric Carle and Eric Litwin. I refer to my students as “readers” throughout the day. I am helping build and create that identity and have them see themselves as readers. It’s the foundation we build in kindergarten that will carry our readers through to a lifetime of reading. Who are some of your favorite authors? How are your readers building their identity? I love your thoughts. Not being readers isn’t even up for discussion!